Congratulations! There you are in your cap and gown, degree in hand. This is what you’ve been working towards these past few years. So… what’s next? Completing tertiary study can be both the most exciting AND daunting time of a graduate’s life. Some may head off for poststudy travel (read our article about ‘debt lag’!) but for most, graduation marks the transition to their chosen career and first step into the ‘real world’. 70% of graduates agreed it was more important to feel fulfilled at work than earn lots of money. 66% expected to work 41 hours or more per week in their first professional role to get ahead. It seems the future of our workforce is in good hands! This is also a time when some young adults move out of home. Perhaps you need to relocate for a job or it’s simply time for independence? Regardless of the reason, learning to be responsible for our own finances and expenses for the first time in our life can be confronting. Will you live alone or share? Your weekly rental limit will determine the location and property type. One off costs such as rental bond (usually 4 weeks rent), rent in advance (usually 2 weeks rent), removalist, connection fees for phone, internet, utilities plus furniture, linen, kitchenware, household supplies etc. Ongoing costs such as rent, gas, electricity and water bills, food, entertainment, transport and/or car costs and home contents insurance. If you have an informal arrangement in a share house there are usually no real legal ties. If you sign a lease there are binding legal and financial obligations. If you are sub-letting under your lease YOU are responsible for the care and upkeep of the property. Make sure you understand what you’re signing. What are the ‘golden rules’ to help you manage your money AND protect your financial future? Try to divide your salary into 50% for essentials, 30% for lifestyle and 20% for savings. If you can’t manage to live AND save perhaps revise your plans? Credit and store cards can lead to a financial disaster. If you have a credit card ensure you are disciplined about usage and repayments. Pay your bills on time – that means BEFORE the bill is due – not at the 2nd final notice! Poor financial habits could affect your ability to qualify for a home loan. It’s wise to understand NOW the role super could play in your future. It should be part of your financial planning from your 20s – not your 40s. This can be the ‘elephant in the room’ for students, so what are the facts? Compulsory repayments through your tax return are required when your income exceeds a minimum repayment threshold. You can also make voluntary payments at any time. 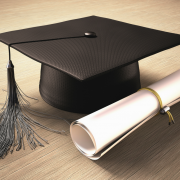 Student loan repayments should be factored into your long term financial planning. As of January 2016, if you have moved overseas your repayment obligations will remain the same as if you are living in Australia. Living life on a single income could leave you open to one critical risk you may not have considered. How would you afford your lifestyle if something happens to you and you cannot work? How do you protect the income you are now dependent on? We don’t think about anything going wrong when we’re young and healthy so if you would like to understand how to protect your income we’re always here for a chat. If you have graduating friends who could benefit from this article ask us for a copy to send on to them! When people buy property together, particularly if it’s with a partner or spouse, they often register the title in both people’s names – especially if they’re going to live in the property. But other arrangements are possible, several friends might opt to own individual shares in a property, for example, or a couple might choose to have only one of their names on an investment property title. The following information provides you with a good starting point to help you on your way. Also tax legislation and other Australian laws governing property ownership and investment are complex, so seek proper legal and financial advice before entering into any arrangement. The two main types of joint-ownership titles in Australia are joint tenancy and tenancy in common. Joint tenants own the whole property together. If one of them dies, ownership passes to the surviving tenant or tenants, you can’t sell or transfer your ‘share’ in a joint tenancy. This is the most common arrangement when a couple owns a family home. Tenants in common own individual shares in a property, and those shares do not have to be equal. Shares in a common tenancy can be transferred to someone else. When one tenant dies, their shares pass to their heirs if they have a will. Tenancy in common is a useful arrangement when a group of people want to buy property together. Each tenant can own a share proportionate to how much money they’ve contributed, and can sell or otherwise dispose of their share as they wish (unless the tenants have entered into a prior agreement that prohibits this). Tenants in common can take out individual loans to finance the purchase of their share of a property, with each tenant repaying their own loan. However, tenants in common are “jointly and severally” responsible for all the loans – if one tenant falls behind in their payments, the other tenants are responsible for those payments. 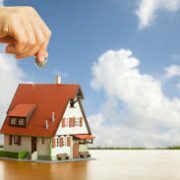 You should also be aware that a lender could force the sale of the property to recover money owed by one tenant. When you’re buying an investment property with a spouse or partner, there could be tax and other advantages to putting the title in only one person’s name. Capital gains tax is payable when you sell a property that is not your family home, such as an investment property. Tax on capital gains is calculated as part of your annual income in the year the gain is realised. If the property is in the name of the partner who has low or no income, less tax could be payable than if the income from the capital gain was shared with the partner with a higher income. If you already have an investment property, a lender will take into account both the income from the property and the loan you’ve taken out to buy it when assessing how much they can lend you. If you own a share in a property as tenant in common, a lender will count the whole debt on the property as your liability – not just your share of it. This could in turn decrease the amount of money they’re willing to lend you. Holiday home or good investment? Can it be both? Australians LOVE a holiday and while overseas travel is high on the list for many of us we are also blessed with an abundance of fabulous holiday destinations in our own backyard. For some of us, when we find a piece of paradise on home turf the lure of our own holiday hideaway is strong. Be honest! Have you ever checked out real estate prices at your favourite holiday spot? Q. Is it business or pleasure? We generally buy lifestyle assets for pleasure – think nice cars, boats etc. On the other hand we usually buy financial assets, such as property, with a view to an eventual profit. Even if you never intend to sell your family home it’s generally purchased with an expectation of capital gain. or maybe even your second or third – so seeking good advice is critical. It pays to consider ALL aspects of such a buy. Q. What should you consider? Rent-free holidays for you, family or friends any time you like. Potential profit from holiday rentals to others. Even if you don’t make a profit, rental income may offset holding costs such as maintenance, loan repayments, management fees, insurance and rates. Possible capital growth over time. Some people may buy a holiday home earlier in life with a view to retiring there in the future. Of course as with any investment it pays to consider the possible pitfalls as well. We certainly know of many cases where clients have made a purchase in the throes of holiday euphoria only to regret it further down the track. Value for money. How often will you use it? If you go there one weekend per month and three weeks at Christmas (ie 43 days pa) it may be cheaper to go and pay normal rates. As of July 2017 travel expenses related to an investment property are also no longer deductible. Security. You may only ‘check’ on a holiday home a few times a year so there could be security issues with an unoccupied property. As a result insurance can often be higher. Make sure you have a local property manager. Potential income vs reality. Will you rent it to others? When, how often and what is the potential income? How many other holiday lettings are in the area? How does your property compare? Would you forgo personal use in peak season to maximise rental income? Holding costs. Ongoing costs include your loan repayments, rates, insurance and maintenance plus possible costs of property management and advertising. You could use local management or manage it yourself. Without a local managing agent how will you manage access to the property, cleaning and post-letting inspections? Capital gains potential. Carefully research property trends – you usually won’t see capital gains like those with a city property. Also holiday homes can be difficult to sell. By their very nature holiday areas usually lack characteristics that underpin a good investment such as infrastructure, arterial roads, hospitals, schools and employment opportunities. Beware of freeloaders! Managing the expectations of friends and family can be a tricky area. Best to set the ground rules right from the beginning. The golden rule? If investment potential is part of your plan then it pays to be cautious of a property purchase driven by your heart rather than your head. If you are thinking of purchasing a holiday home please contact us for a chat first. We can help you explore all the financial implications for your individual circumstances and long term financial goals. http://www.indigofinance.com.au/wp-content/uploads/2018/07/download-2.jpg 183 275 IndigoFinance http://www.indigofinance.com.au/wp-content/uploads/2017/01/indigo-finance-logo.png IndigoFinance2018-07-16 23:00:562018-07-16 23:01:50Holiday home or good investment? Can it be both? Coffee Addiction! Can it be tamed? Coffee is an essential part of daily life for many of us with caffeine often referred to as ‘the world’s most popular drug’. You only have to look around at the explosion of cafés and coffee trucks over the past 20 years to gauge its popularity. If you’re a traveller you will know coffee in Australia is some of the best in the world and our baristas are often seen as world leading in their profession. Many of us wouldn’t get through a work day without coffee! Take a moment to look around your workplace and see how many coffee cups, energy drinks and chocolate bars you can find. A lot? So what is caffeine and why do many of us find ourselves wanting it on a daily basis? Caffeine is a ‘psychoactive stimulant drug’ and is naturally found in the leaves, seed and fruits of over 60 plants worldwide. The most common sources in our diet are coffee, tea leaves, cola and energy drinks. 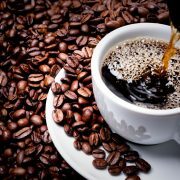 Caffeine can also be produced synthetically and added to food, beverages, supplements and medications. One shot of espresso coffee in a cappuccino or latte equates to approximately 100mg of caffeine. The average Australian drinks two cups of coffee per day. While this is a healthy quantity and is enough to keep a person energised and feeling alert for the day, the problem is that most people who work in an office tend to consume more caffeine than the average Australian. If you have coffee regularly over time your body becomes used to having caffeine in the system. If we then cut it out your body misses the caffeine and you start to show symptoms of withdrawal. At this point we usually race out for a coffee hit! And so the vicious cycle continues…. As well as being addictive, coffee consumption has become a very social habit. How often do we invite someone to catch up for a coffee? Once the addiction has taken hold we begin to run the risk of burning out, crashing or getting what is commonly called ‘the afternoon slump’ at around 2pm or 3pm. The reason people who consume considerable amounts of caffeine end up being more tired and having less energy than everyone else is due to two very important, very small glands in the body: the adrenal glands. These little glands are responsible for producing adrenaline. And what gets pumped around the body every time we consume caffeine? You guessed it – adrenaline! If you push these little glands too far they will eventually run dry, and it is at this point where you will begin to burn out or become fatigued. To make things worse, it’s not only caffeine that can strain your adrenal glands. Several other factors such as lack of sleep, high sugar intake and high levels of stress can leave you without anything left in the tank. So, how do we protect ourselves from abusing our adrenal glands and burning out? The simple answer is to consume the right type of caffeine, in the right amount and at the right time and gradually reduce your consumption. • Try real brewed espresso – it contains natural caffeine, minerals and antioxidants. • Don’t add extra sugar – it excretes too much adrenaline. • Try to limit your caffeine intake to the morning – this will get you going and help you focus, and it will definitely not interfere with your sleep at night. http://www.indigofinance.com.au/wp-content/uploads/2018/07/istock-157528129.jpg 1643 2465 IndigoFinance http://www.indigofinance.com.au/wp-content/uploads/2017/01/indigo-finance-logo.png IndigoFinance2018-07-08 23:18:562018-07-08 23:20:09Coffee Addiction! Can it be tamed?